As I wrap up this 2-week Spring Detox Series, I’d be remiss if I didn’t talk about this detox option. During the springtime, there’s a plant growing in almost every lawn across the US that is the nemesis to many homeowners and gardeners alike. The bright yellow flower and fluffy seed puffball of the dandelion weed is familiar to all of us I’m sure. But instead of seeing the dandelion as an enemy to be squashed (pun intended), there are some wonderful properties of this little plant that can be useful to us for detoxing. Dandelion offers wonderful liver and kidney support as a diuretic (a tool to increase urine production) while at the same time containing potassium so that our body is not depleted of this essential mineral. Dandelion greens are also an excellent digestive aid. You can use dandelion leaves many different ways in order to benefit from its detoxing power. Many health food stores and local farmers sell fresh, organic dandelion greens that you can add to salads or smoothies. I love a salad made of only the dandelion leaves with a simple olive oil, sea salt, and lemon juice dressing. However, for those who are dining on dandelion for the first time, you might want to add just a few leaves to a mixed green salad as the leaves can be very bitter. And it’s the bitterness that is actually highly beneficial! Bitter greens stimulate the gallbladder and promote good digestion. 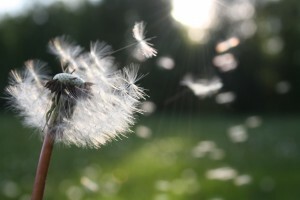 It’s important that the dandelions you consume not be covered in herbicides, pesticides, or pet urine, so be careful about foraging for your own in a park or neighborhood. In addition to enjoying the leaves fresh, they can be dried and used as a tea, or encapsulated for you to swallow throughout the year. Just like the leaves, dandelion root also improves digestion. Teas and tinctures made from the roots can decrease bloating, promote a good appetite, and help your bowels move better due to a mild laxative effect. The root has also been traditionally used as a liver tonic and this is where it really shines. Studies have shown that the dandelion root protects liver cells from damage due to toxins (1, 2) including alcohol (3)! From a naturopathic perspective, the ability of the liver to clear toxins often has an impact the skin. Dandelion root can be beneficial in many different skin conditions including acne, eczema, and some types of itching. Through its action on the liver, dandelion root also helps the body remove excess hormones. Excess hormones can contribute to acne but also a whole host of other issues. Many women I see have symptoms of estrogen dominance; any daily routine, like drinking dandelion tea, that helps them to safely eliminate the excess hormone can be beneficial. Other benefits include its antioxidant properties (4), improvement of cholesterol and blood sugar levels (5), and anticancer effects (6, 7, 8). One product that I often use when I’m trying to reduce my coffee intake is Dandy Blend. It is a powdered blend of roasted barley, rye, chicory, dandelion, and beet sugar that requires adding only hot water to have a rich satisfying drink. (If you are gluten- or sugar-free, don’t let the ingredients alarm you; it doesn’t actually have any gluten and only a minuscule amount of sugar.) Most coffee substitutes on the market leave you remembering why you love the real stuff so much, but Dandy Blend is different. It even makes a good iced latte with a bit of almond milk added. Roasted dandelion root tea steeped for 10 -15 minutes also makes a very satisfying, rich, earthy drink. Traditional Medicinals is my favorite bagged tea option; I find them to have the most potent bagged medicinal teas on the market. You can also often find the roasted root in bulk at health food stores. Remember, not all detox protocols are for everyone. 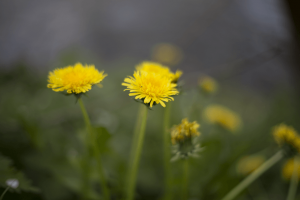 Caution should be used in combining dandelion supplements with certain medications like quinolone antibiotics, lithium, and some medications that are metabolized by the liver and some diuretics. Those who are allergic to chamomile, chrysanthemums, daisies, marigolds, ragweed, and/or yarrow should also be cautious. If you’re new to the 2-week Spring Detox Series, welcome! Be sure to check out the rest of the posts! Does Everyone Really Need to Detox? Who Needs to Detox? …and When? Subscribe to our newsletter and receive our free eBook: Anti-Inflammatory Paleo Diet. Including answers to FAQs, a list of useful resources & an easy-to-use Food Chart. Reduce inflammation by increasing nutrient-dense foods so that you can feel better! 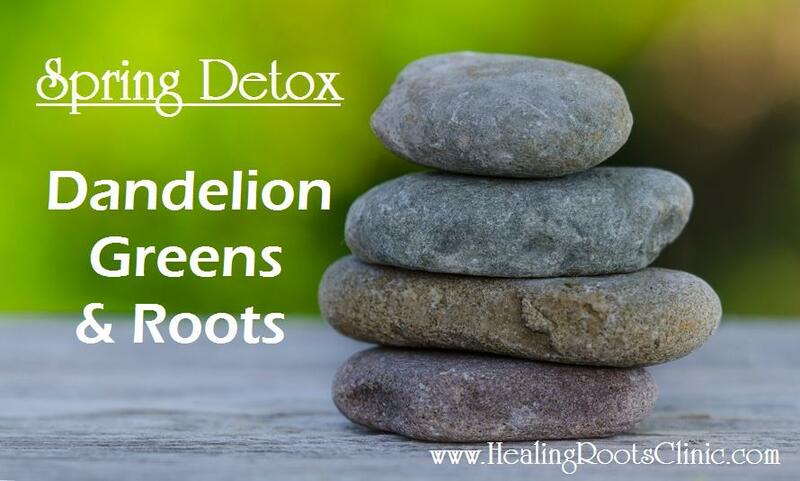 This entry was posted in Detox, Natural Medicine, Nutrition, Supplements and tagged Detox Dandelion Denver Colorado, detox denver colorado, natural medicine denver colorado, naturopath doctor denver colorado. Bookmark the permalink.